Get an Australian background check for employees in an accounting firm. Looking for Australian police background checks? If you run or employ people in an accounting firm or business you can't afford not to do an Australian Police Check if your accountancy business is in Australia. A police check will ensure you're employing the right people for your accountancy practice. 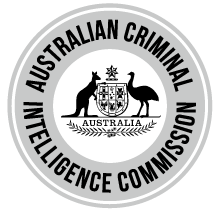 Information Brokers are an accredited ACIC agency which means we have a direct link to police databases around Australia so we can deliver your police check via email within minutes.